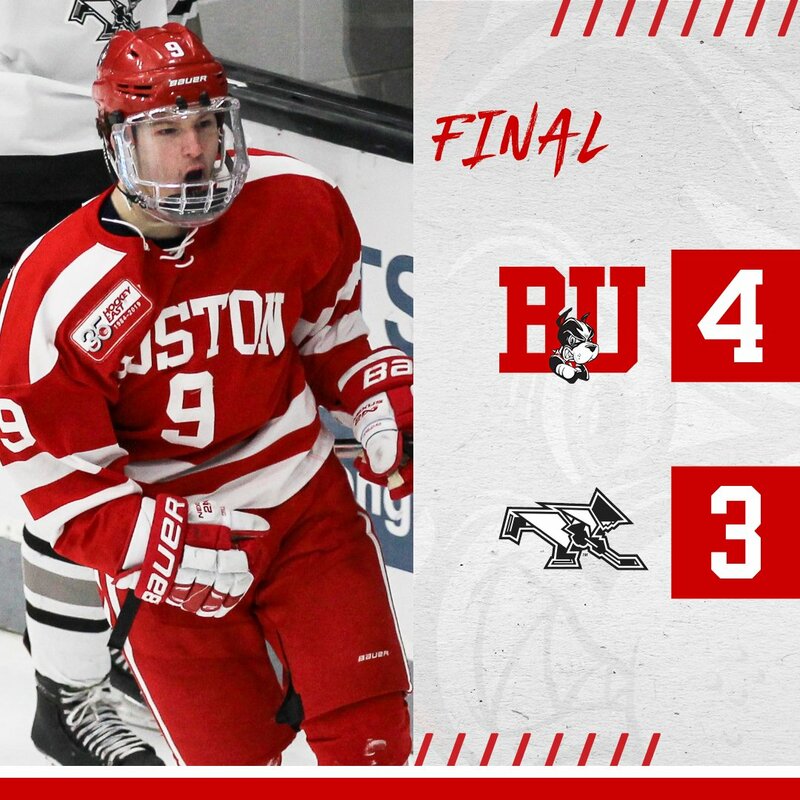 Logan Cockerill’s goal completed a third-period rally that sent BU to a 4-3 win against #7/8 Providence at Schneider Arena. The Terriers extend their unbeaten streak to five games (4-0-1) and are now tied for third place in Hockey East. Shane Bowers scored twice and David Farrance once as BU scored four times after spotting the Friars a 2-0 lead. After BU failed to scored on an early power play, Providence cashed in on its first chance with a man advantage when Josh Wilkins one-timed a shot from the right circle. The Friars doubled the lead three minutes later as Scott Conway converted a rebound from the right side of the crease after Jake Oettinger made two stops. The 11-minute mark was golden for Bowers in the second period, too. The sophomore from Halifax combined with Joel Farabee on a series of passes before beating Hayden Hawkey from below the right circle to tie the score at two apiece. 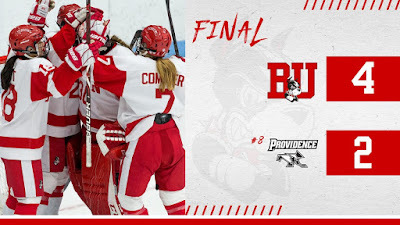 BU killed off three power plays in the period, with Oettinger making six saves. The game-winning sequence began with Cockerill knocking Conway off the puck in the defensive zone, then heading up ice. Kasper Kotkansalo moved the puck ahead to Carpenter who dished it to Cockerill for a snipe from the left circle, beating Hawkey high to the glove side. 2020 recruit Drew Commesso stopped 28 shots in regulation and in overtime, then turned aside all three shootout attempts as the NTDP U17s completed a sweep of Central Illinois with a 5-4 win. Fellow recruit Luke Tuch assisted on a pair of goals for Team USA.